Keep up to date with Michael Valentine Studio on Twitter. No we won't bore you with the details of what we (or any musician) have had for breakfast! Apparently 19 Million Vinyl Records, Albums & Used CDs available from 3500 Record Stores! Soul Brother Records are specialists in rare soul & jazz recordings on vinyl & CD. 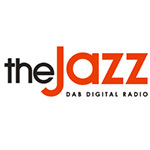 Jazz has returned to the airwaves!